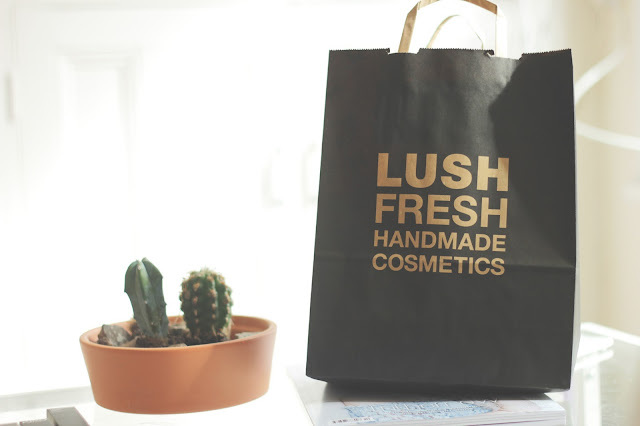 Yesterday I decided to pop into Lush, we went on a date night to the Trafford Centre which was so much fun. We played in the arcade and ate lots of Nandos and did some much needed retail therapy. Its Robs 25th birthday next week so we picked up some presents from Topman and I headed into all the beauty stores such as Boots and Lush. I wanted to share with you what I got from Lush, I am so excited to use them all. The girl behind the counter asked me if all this was for me, I thought this is me restrained in Lush. I could have purchased so many more beautiful products and more face masks if I let myself go wild in there. The store is a friendly one, so many happy faces and always there to help. For £20 I picked up some amazing bath bombs, melts and a face mask. This is Rose Jam which smells like a big ball of perfection filled with lemon, Rose and cocoa, shea butters to help keep your skin looking fab. You break off pieces and crumble it into your bath. It creates a lovely bubbly pink both that smells like heaven. I enjoy the glitter but it does get everywhere, I still love it though. The lemon is so refreshing in this bubble bar, perfect to boost your mood. This is Razzle Dazzle which is a bath melt, this is something new to me. I have never tried a bath melt from Lush before but the demo on the website looks incredible. This is only £2 so if you fancy a treat you can pick this up for an amazing bath, I am super excited to try it out. Raspberry is one of my all time favourite scents and the lemon in this is uplifting. 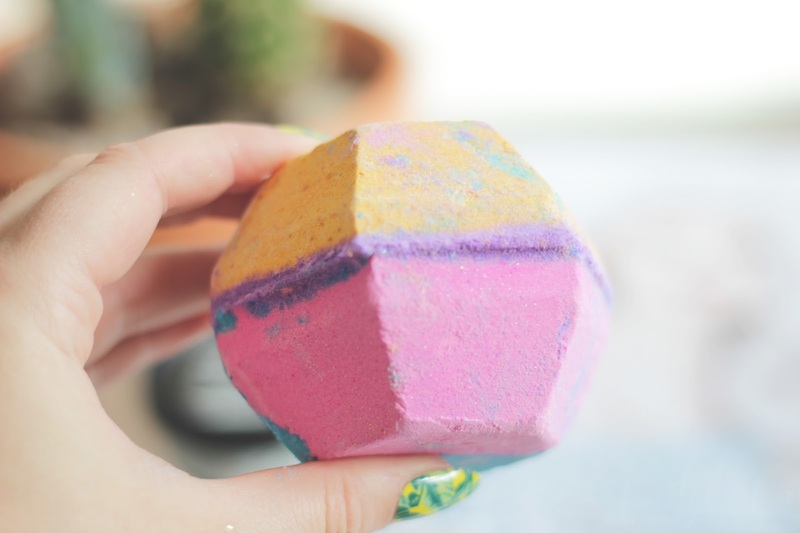 Now this is an amazing bath bomb, one that explodes in our bath leaving it full of colour. This is the Experimenter which is a very sweet scent, so I don't think everyone would like the smell but it gives off an explosion of five different colours in your bath. This will be the one to use when I feel tired after work from an early shift to waken me. 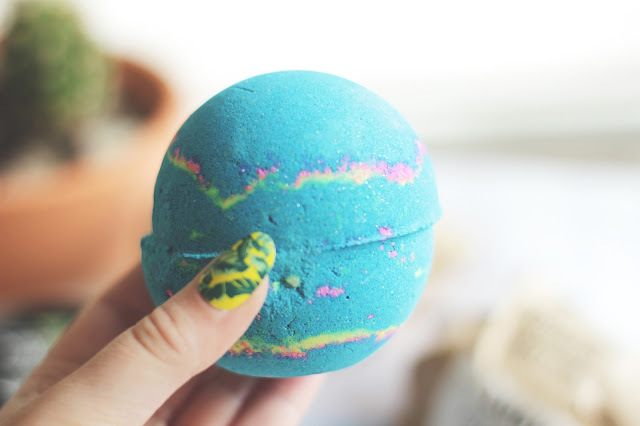 This is Intergalactic which smells so refreshing due to the peppermint. I decided to pick this one up due to the popping candy, this sounds incredible. I love the scent, its super refreshing and one I may use first. I think my boyfriend would love this one because of the popping candy in it. Every trip to Lush I treat myself to a new face mask, this time I picked up Don't look at me. It is bright blue which is fascinating in itself but I love that it gives my skin a good scrub too. The lemon juice will tone up your complexion, the rice syrup and grapefruit oil to scrub your skin. I felt like my skin needed this so I used it this morning, my skin feels super soft and bright. I enjoy Lush face masks they are super fresh and my skin looks greater after using it. My skin has been looking very tired and spotty recently so I needed a pick me up, this face mask did this. I decided to go for one that will deep clean the skin, give it a good scrub and leave it bright. 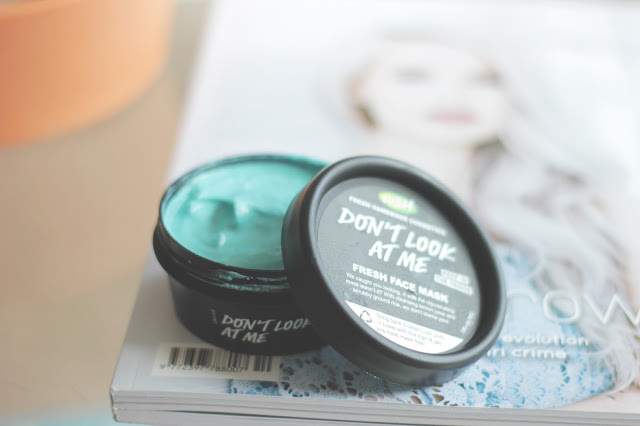 I really love this mask, this is one to pick up next time you are near a Lush. I apply a thick layer of this mask, leave it on for 10-15 minutes. I wet my hands and rub the mask into my skin again, to exfoliate it and then wash it off with warm water. 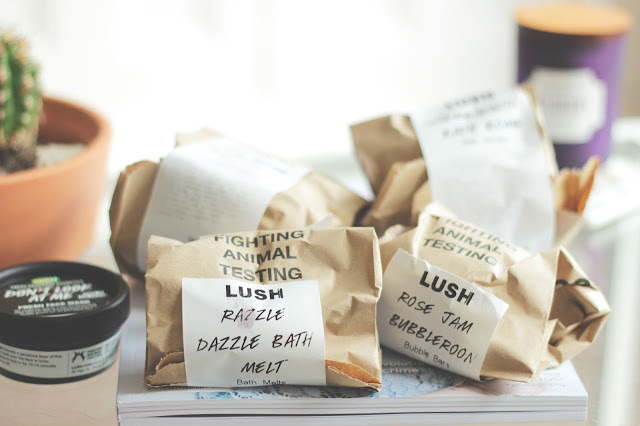 Have you tried these products from Lush? If you have the time please nominate my blog in the Cosmo Blog Awards, here is the information. What a lovely haul! Rose Jam Bubbleroon and Intergalactic are some of my faves! I recently tried the Melting Marshmallow bath melt and I wasn't blown away by it. I used it in a huge bath though so think I diluted it too much - the scent was lost. Love the 'Razzle Dazzle' name though! Rose Jam sounds incredible! I'll have to look for it on my next Lush visit. Oft you chose all! 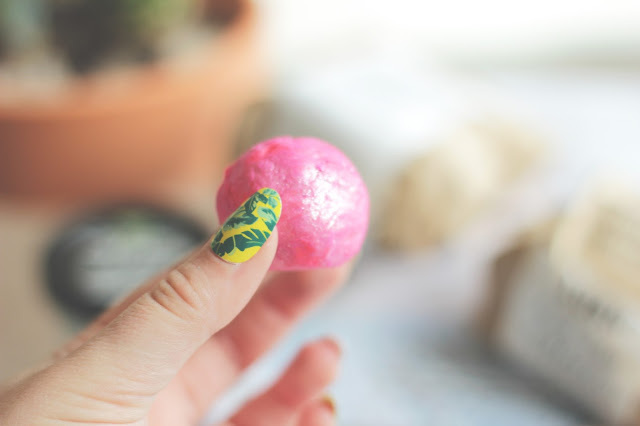 Experimenter is one of my all time favourite bath bombs so it will not disappoint! fromI love the Victoria Quarter too! I think the white dress is my favourite. Its just so vintagey.